WHY PURCHASE A GREEN PRODUCT? Pyramid Rock Gardening has been in business since 1987. All our rock is mined only in Manitoba We mine it ourselves and ship it to our retail yard at 43 Cordite Road in Winnipeg. 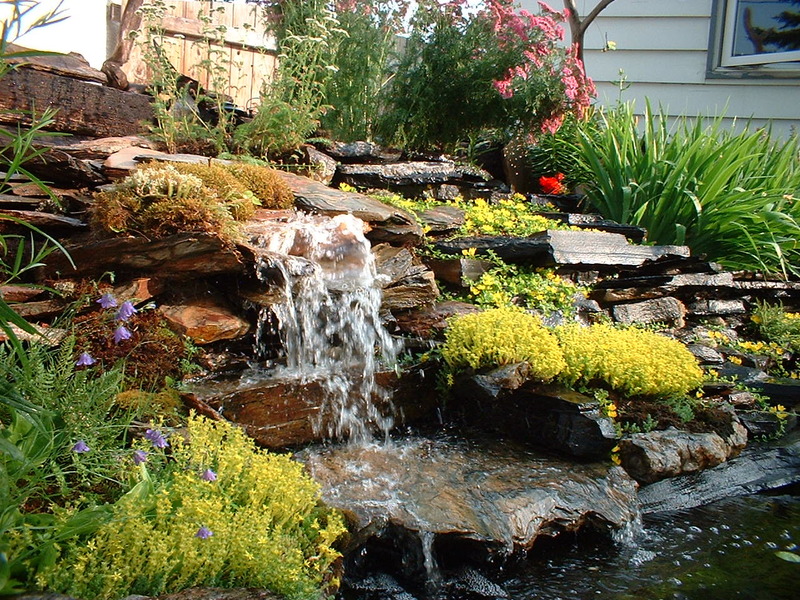 We supply all natural, 100% recyclable and reusable flagstone, block, hearths, and boulders in any size or natural shape. It can be used for patios, ponds, stepping stones, floors, hot tubs, bathrooms, fireplaces, facia, walls, landscapes and many more uses. It is extremely strong and will never breakdown in your lifetime. It comes from a volcanic source making it a very strong rock. You can buy only the rock and do it yourself or we can help you come up with a plan of your own with just some guidance or we can do it for you!! 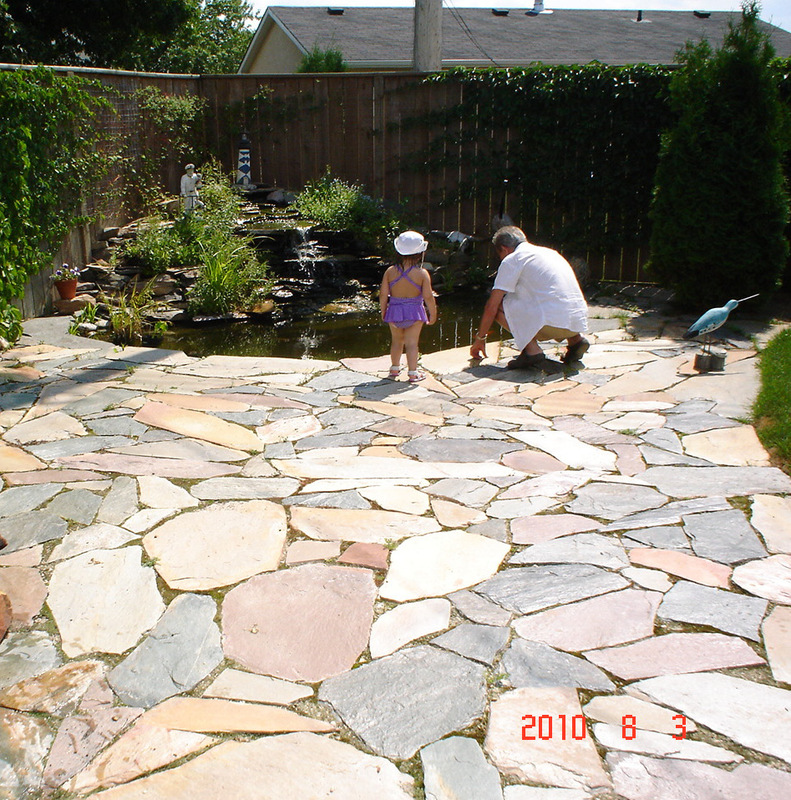 For installation of Patios or walkways – it is $5/sq.ft.plus your rock. WE DO NOT CHARGE FOR CONSULTS!!!! Or if these times don’t work for you – please contact us to arrange a time at (204)799-2999. 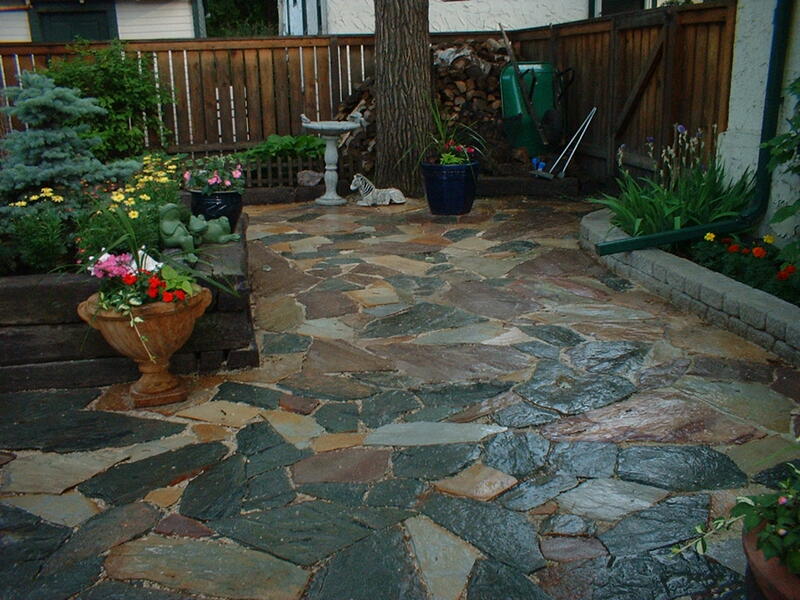 How much is flagstone by the square foot or what? It is $5 a sq ft.
What size boulders are you thinking? Is there a charge for a consult? How are the boulders priced? By ton or by size? It’s best to come down to 43 Cordite Rd and we can quote you on your pick. It is by size. The most expensive boulders are $300 but they are the size of fridges. It is best to come down and pick one out and Ken can tell you a price on the spot. Usually the bigger cost is how to move it to where you need it to be. Will it take three guys, or a bobcat or a crane. We have around 2000 in stock to pick from. Thank you for your kind words. If you could email me the picture or two -I will create an aquarium section. Hello I want to make a circular fire pit with your stones. Approximately 1′ high and 30″ diameter. Not cemented just stacked. Are your stones work well for this?what are your hours of operation? Yes. We have those. Come on down to 43 Cordite Rd off of Lagimodiere and Grassie either today from 12-4 or weekdays 9-5 or Saturday’s 10-4. We have an outdoor space so if it snowing – we may not be there. Please call 204-799-2999 to ensure someone is there. Only when it is 5 Celsius or lower. If it is a nice day – we are there. Hi – we just purchased and put in our walkway in front of our house – – the flagstones are 1 to 2 inches apart – is this too much distance? Should we have put them closer? What would you suggest? It is up to you. If you water and sweep often at first the 1/4 down in between will harden and be easy to step on. Or you could grow moss in between. Equal parts of the f beer and buttermilk will create a very green fine moss that is also easy on the toes and looks nice too. It is your personal taste as to how far apart you would like it. We are not open in the winter. We have the rock available – it is just encased in ice till spring. If you wish to come by in the spring – as soon as it melts and is above 5 Celsius Our shop is outdoors. I need few boulder (half size of the fridge)on my back yard,but my back yard already have fence ảound.Can you delivery or give me any idea? We have boulders in that size. Options for a fenced yard would be to either crane in the boulders (this is a pricey go at it) another option would be to take apart a section of your fence. This option is often much cheaper and a handyman can take care of this. Then a small bobcat can place it in your backyard.